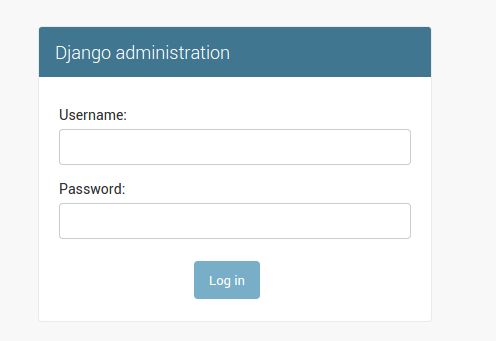 Django admin using the flat theme, re-used to log in superusers from third-party application. Handy. In the third case you have to setup some sort of registration/user-profile system. There are several choices, like django-registration, which however does not give you a full blown profile system like for example django-user-accounts. In the first case you’ll be fine just using the admin login. You need to remember where is your admin login, especially if you use django-admin-honeypot, which I suggest. So the complicated case is just number two. You want a way to login your other superuser, without passing by the admin login, but without going for a full blown registration application. With these two line you will use the default django-template to handle the login and the logout of your only other superuser. The page will look similar to the opening screenshot, if you are using the django-flat-theme, which is a very nice simple theme to add to the admin.